Exit once profit is good. For intra-day to few days trading only. GMG Global is a completely dead stock where the BBs are selling their holding day by day. A very good stock to SHORT. The selling will intensify in the next few days. Currently, the US and European market are EXTREMELY bearish. There may be a technical rebound in the next few days, but the selling is not over yet. Most of the stock in STI had went through a huge and fierce selling down today. The only Asia market that holds up well is china/Hong Kong. 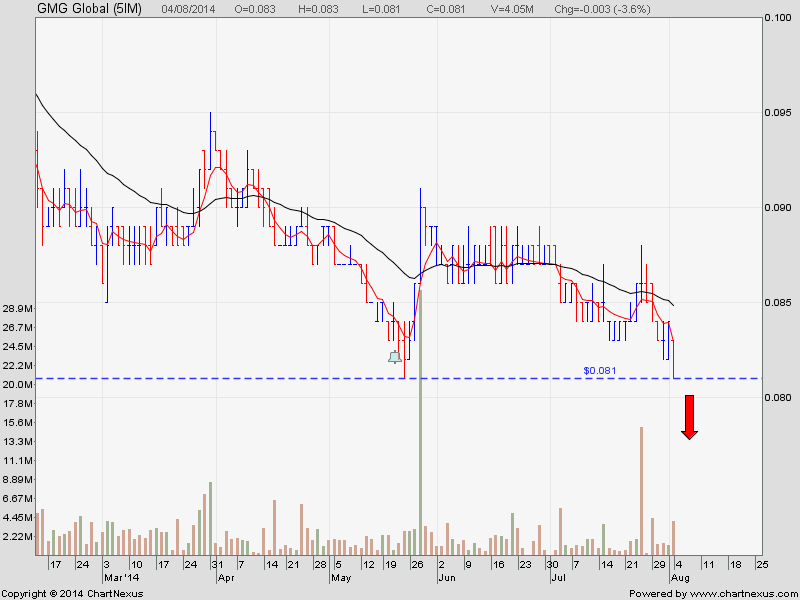 If STI can rebound, it will be a good news because we can buy good stock at a cheap price again. You can still enter and trade Jaya and UMS as posted yesterday.